Current United States law requires all male U.S. citizens and male immigrant non-citizens between the ages of 18 and 25 to have registered with the Selective Service System within 30 days of their 18th birthdays. Although this requirement may seem a nuisance for the young person required to sign up, it is a boon for genealogists searching for a paper trail for their ancestors. It is fortunate for genealogists that military draft registrations in America are not something new, they have been around since the Civil War. Military conflicts generate a tremendous amount of paperwork and military draft cards are just one of the many records kept in times of war. For genealogists, draft card paperwork can serve as a valuable tool for locating male ancestors at the time they signed up for the draft. It is important to see if you can place your male ancestors into any of the major military conflicts that conducted drafts. 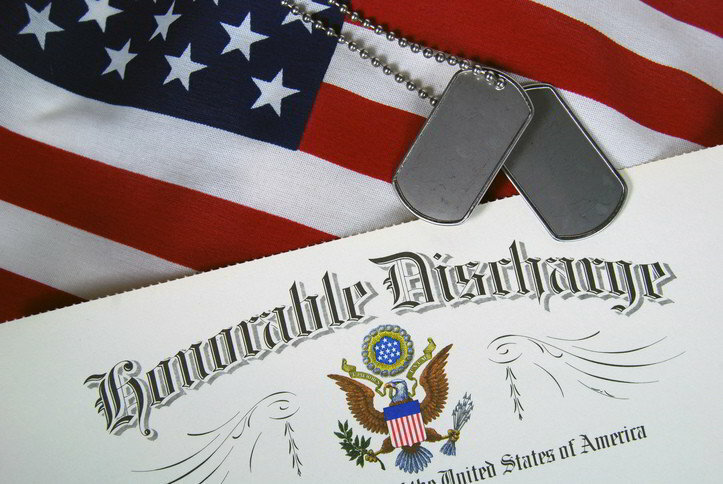 Due to confidentiality laws, military draft records are sealed for 72 years in order to prevent the release of an individual’s personal information during their lifetime. Therefore, draft records are only available for older conflicts up through World War 2 (1940-1946). More recent conflicts such as the Korean War (1950-1953) and Vietnam War (1964-1973) and beyond will become available once the 72 year holding period expires. If you have male ancestors living in the U.S. born between 1843 and 1927, there is a good possibility that they had to sign-up for the Civil War, World War 1 or World War 2 drafts. Military draft cards are unique in that they fairly accurately capture all of the young men within age range of military draft eligibility. At a minimum, you should be able to pin an ancestor down to a specific geographic location by finding their draft card. 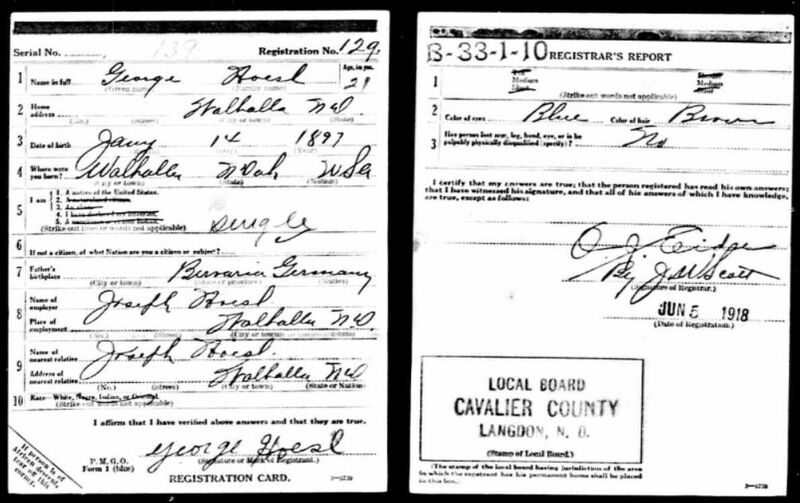 For example, I included an image of my grandfather George Hoesl’s World War 1 draft registration card. The card reveals juicy bits of information such as his birth date, birth location, current location, marital status, father’s name and a physical description. Although George never served in the military, he did his duty of signing up for the draft in 1918 at the age of 21. Fold3 has one of the largest online military collections. If you have ancestors who served in the Civil War, it maybe be well worth subscribing to their service. These websites both have large military collections and are a great place to find draft registration records. You can use FamilySearch for free, but Ancestry is a subscription based service. The U.S. National Archives are the primary source for many military veteran records. Draft registration records are popular with genealogists because they cast a wide net that captures a majority of the male population living around the time of the draft. As we can see by the example draft card above, this net can even catch people who were never called upon to serve. The availability of records for most major military conflicts make them a good tool for locating ancestors. Many draft records are available online with images of the original document. Most records provide an address, list relatives and give descriptions of the physical features of the potential draftee.